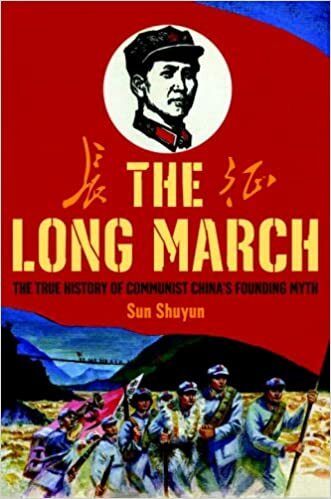 The Long March is Communist China’s founding myth, the heroic tale that every Chinese child learns in school. Seventy years after the historical march took place, Sun Shuyun set out to retrace the Marchers’ steps and unexpectedly discovered the true history behind the legend. The Long March is the stunning narrative of her extraordinary expedition. The facts are these: in 1934, in the midst of a brutal civil war, the Communist party and its 200,000 soldiers were forced from their bases by Chiang Kaishek and his Nationalist troops. After that, truth and legend begin to blur: led by Mao Zedong, the Communists set off on a strategic retreat to the distant barren north of China, thousands of miles away. Only one in five Marchers reached their destination, where, the legend goes, they gathered strength and returned to launch the new China in the heat of revolution. As Sun Shuyun journeys to remote villages along the Marchers’ route, she interviews the aged survivors and visits little-known local archives. She uncovers shocking stories of starvation, disease, and desertion, of ruthless purges ordered by party leaders, of the mistreatment of women, and of thousands of futile deaths. Many who survived the March report that their suffering continued long after the “triumph” of the revolution, recounting tales of persecution and ostracism that culminated in the horrific years of the Cultural Revolution. What emerges from Sun’s research, her interviews, and her own memories of growing up in China is a moving portrait of China past and present. Sun finds that the forces at work during the days of the revolution—the barren, unforgiving landscape; the unifying power of outside threats from foreign countries; Mao’s brilliant political instincts and his use of terror, propaganda, and ruthless purges to consolidate power and control the population—are the very forces that made China what it is today.